PRI board for Raspberry Pi is an ideal solution for enhancing Raspberry Pi to a complete telecommunications system for small and medium-sized enterprises. Integrated into the open-source environment, PRI board for Raspberry Pi provides PRI interfaces in the familiar Asterisk infrastructure. The two available PRI ports allow all types of ISDN integration such as linkage to ISDN networks, integration of existent ISDN systems and much more. PRI board for Raspberry Pi is the worldwide first PRI board available for the Raspberry Pi environment. It has two PRI ports to connect ISDN systems and ISDN networks. 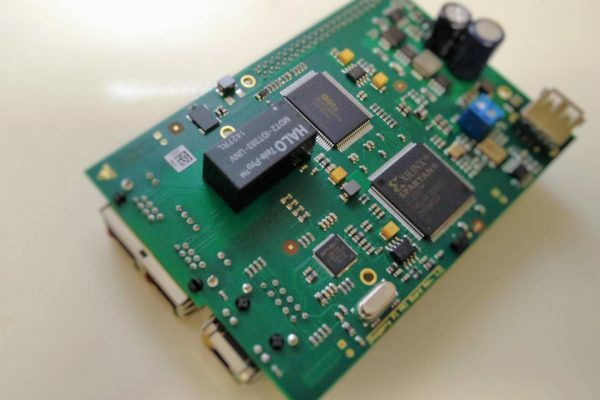 Using an integrated, highly precise 5ppm ISDN clock, PRI board for Raspberry Pi provides ISDN quality for voice, fax and DECT connections. Our PRI board for Raspberry Pi is fully integrated into the Asterisk open-source implementation. The board acts as a typical PRI card with full access to the signaling and service channels of the PRI interfaces based on the Asterisk protocol stack.